MedManagement, LLC was founded in 1995 to provide clinical and financial management tools and resources to providers. With a keen eye toward the ever-changing healthcare regulatory landscape, they identify the needs of health care providers and respond with services and education as a valuable partner. 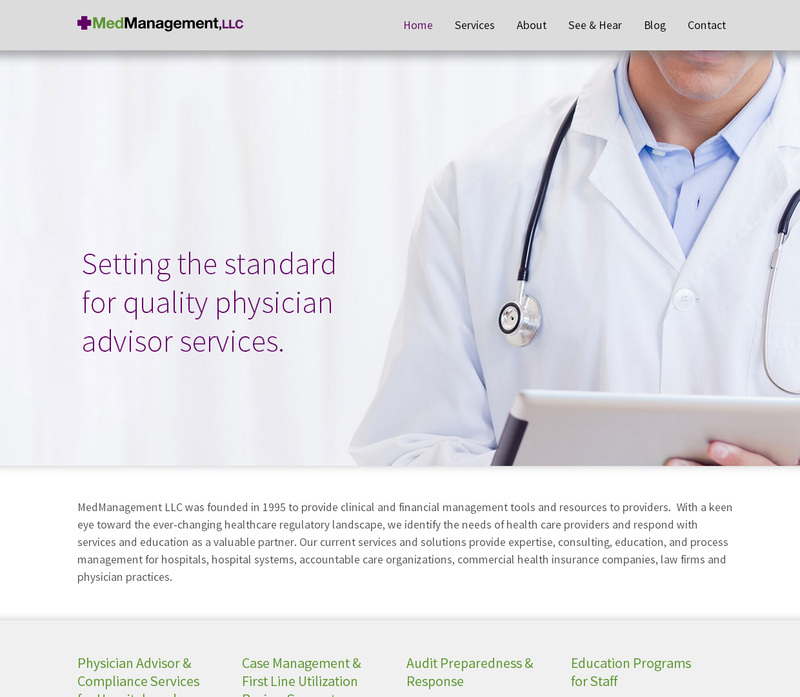 MedManagement came to us because they had an outdated site that didn’t represent their current services and offerings. They wanted a modern, fresh approach to presenting their company, with the goal being to generate new business and show how they are leveraging technology in their services. We designed a responsive site with clean, bright colors, modern typography and a large friendly image depicting the use of modern medical technology. The design combines strong, friendly typography with the bold colors on a crisp, white background to keep things fresh and modern. The site features a prominent opt-in for their newsletter, as well as clear and easy to use navigation through their many services.